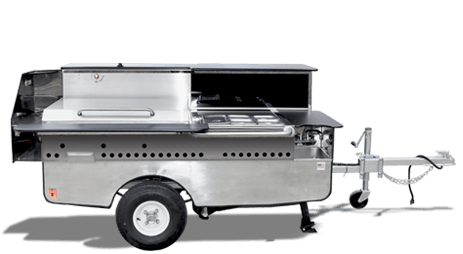 Select the hot dog cart / mobile food cart model that best fits your needs to get started. A compact cart with loads of features. Efficiently handle high food volume. Our largest and most versatile cart. 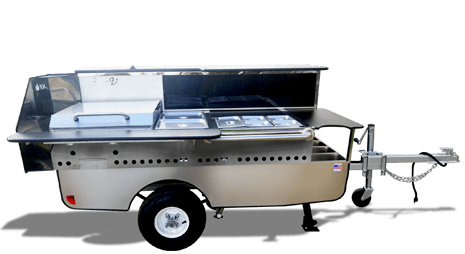 Stainless steel construction, precision engineering and efficient work spaces are some of the reasons why Top Dog Carts are recognized as the highest quality hot dog cart / mobile food carts available. Each of our cart models is a fully functioning mobile food vending cart. A variety of custom options and accessories are available to personalize your cart. All of our Hot Dog Cart / Mobile Food Carts are manufactured on-site in our Florida facility. 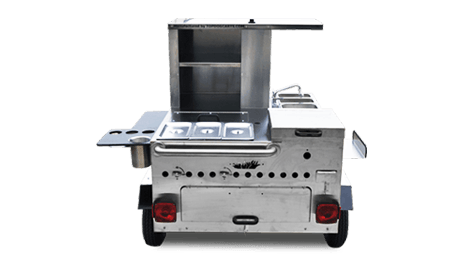 Our hot dog cart / mobile food cart models include many features considered upgrades by other manufacturers. Each base model cart is a fully functioning mobile kitchen. See more benefits to owning a Top Dog Cart. Build your cart the way you want it with a variety of custom options and equipment. Plus, you can find accessories made for your Top Dog Cart anytime, anywhere in our online store. Before purchasing a mobile food cart, please contact the health department in your area to get information about equipment requirements. All Top Dog Carts can serve a variety of foods – from hot dogs and sausages to burgers, cheesesteak, tacos and more. We also design and engineer complete custom carts, concession carts and fleets of carts for franchise operations. Contact us to learn more about our carts and what they can do for your business. TopDogCarts.com is owned by TDC Manufacturing, LLC. All content, not exclusive of: images, photographs, drawings, illustrations, videos, audio and text, are protected by copyright laws and shall not be re-published without express written consent. copyright 2011-2019 TDC Manufacturing, LLC.